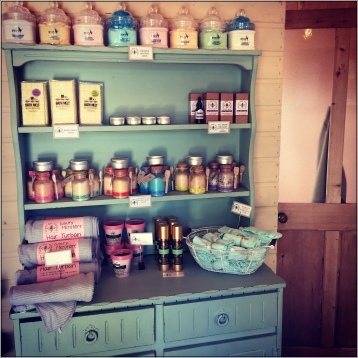 Situated in the Co Tyrone village of Eglish and nestled under 100 year old Beech trees sits our Queen Bee Naturals production unit and mini shop aptly named 'The Hive'. The shop may be small but it certainly isn't lacking in character. 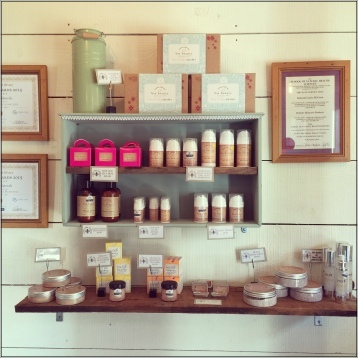 We have used recycled and upcycled wood and furniture to display our wonderful skincare productions - adding to the charm of your visit. 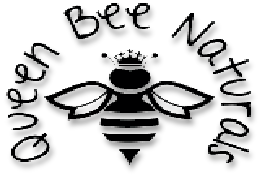 You also have the added benefit of being able to sample our products allowing you try-before-you-buy! Or using our Build Your Own Gift Set facility to arrange bespoke gift bags and boxes with products you select from the shop. We don't have set opening times as we understand everyone has a varied and often busy lifestyle. Just contact us before hand by either text or phone call or drop us a little email or facebook message and we can arrange a time and day that suits. This allows busy mums to call after or before the school runs or the shift workers to call in the evening and means we can hopefully accommodate everyone.